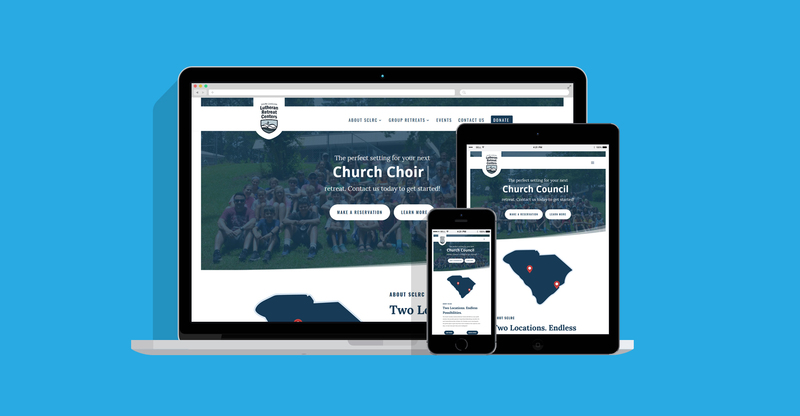 The South Carolina Lutheran Retreat Centers is a non-profit ministry of the South Carolina Synod – ELCA. They operate two retreat facilities (Camp Kinard & Coastal Retreat) and annually serve over 7,000 people. Their site needed to reflect their welcoming personality while providing adequate information for those planning retreats.